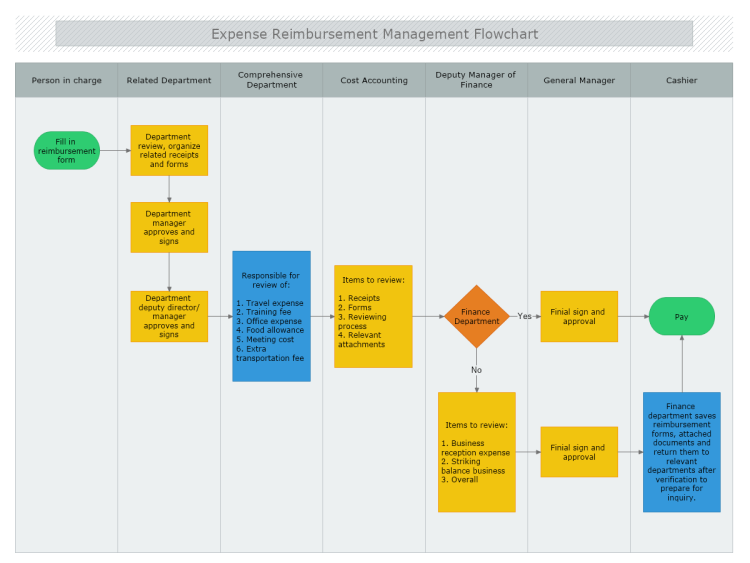 This cross-functional flowchart example describes the expense reimbursement process within an organization. The diagram is presented in a table view. Each column of this table represents different organizational department, while each major step of the expense reimbursement process is listed within the column under the specific department that is responsible for it.